San Francisco Airport is one of the major gateway to International and domestic destinations. 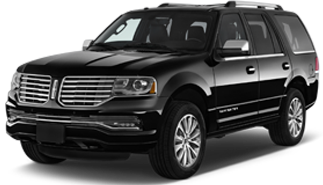 We provide worry free transportation to or from San Francisco Airport (SFO). We provide Hybrid Sedans, Luxury Town Cars and SUV service. San Francisco is a city which appeals to everyone of any age. You can spend a weekend in San Francisco and still not see everything it has to offer. You will always find something that interests you like a walk over the Golden Gate Bridge, ride a Cable Car, Visit Alcatraz (also known as the Rock). Explore Fisherman’s Wharf and Pier 39, this is also home to the Sea Lions. go to a San Francisco Giants Baseball game at AT & T Park. Shop at Union Square consisting of Major department stores and exclusive designer boutiques. San Francisco’s Chinatown, the largest in US. You can also tour the Coit Tower, Telegraph Hill or see the Crookedest street in the world. Our tour transportation services are San Francisco’s finest! You can have lunch/dinner or just coffee at one of many European-styled cafes, Italian restaurants. You can visit the aquarium at Pier 39 or visit one of the many museums San Francisco has to offer. Why choose San Francisco Airport Car Service? 1) Our Chauffeurs are very knowledgable about San Francisco Bay Area. 2) Our Chauffeurs are courteous and friendly. 3) Our fleet includes all new vehicles. 4) Our vehicles have complimentary water and Wi Fi. 5) Our exceptional service to our clients. We will monitor your flight and upon arrival, please turn on your phone we will contact you to confirm your safe arrival. Within just a few minutes of calling, your car will arrive curbside at the San Francisco Airport arrivals. Due to security restrictions, we often cannot wait on the curb but we will arrive within minutes after you. You can also call us toll-free from any phone by calling1-844-400-5466. After you land or clear customs, please call us at our toll-free number 1-844-400-5466. After getting in contact with our team, you simply proceed out of the terminal to the limousine booth, located on the middle island. your car will arrive at San Francisco Airport International arrivals within a few minutes your call. Meet and Greet is an exclusive service for your executives or clients. We will monitor your flight and upon arrival, follow the signs to the baggage claim. Your chauffeur will meet you in the baggage claim area with a sign displaying your name and assist you with your luggage to your reserved car. If for any reason you need assistance locating the chauffeur, or if you have any questions, please call 1 (844)400-5466. For international arrivals, the driver will meet you outside of Customs. There is a additional fee for this service. Advance reservations required.